Venesto is changing its philosophy. The company has matured and is now setting new goals. We are looking into the future and moving towards new aims. Venesto’s ideas are an example of following global trends with an individual touch. 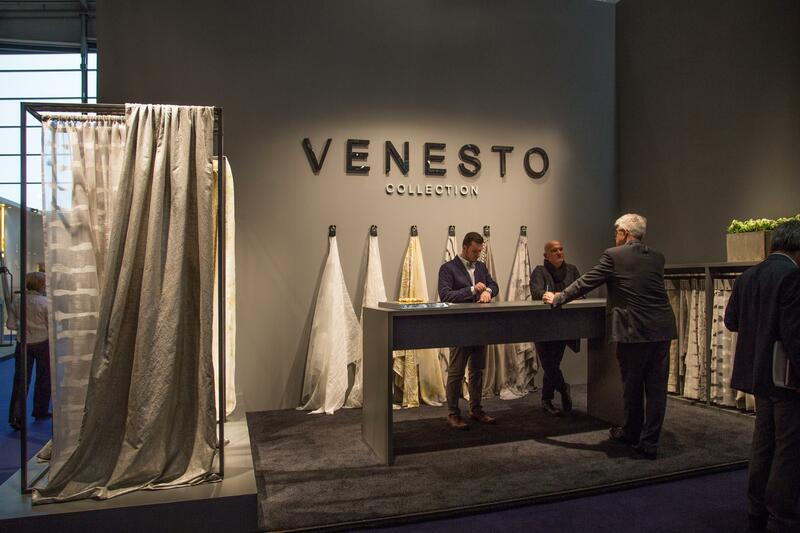 Visual simplicity and uniqueness have become recognizable features of the brand, which is among the main reasons for Venesto’s fabrics to be found in numerous luxurious interiors and fashionable residences. The brand, emerged from the environment of conceptual artists, has enjoyed a long relationship with German company Eustergerling Interieur GmbH. Its investments and global distribution network have brought Venesto to the international level. Venesto is now an independent company aimed at extended cooperation with the European market. Admirers of the brand had the opportunity to appreciate our updated visual concept which had found reflection in the flagman collection exhibited at Heimtextil 2017. The changes in the development strategy have not affected the long-term partnership with Eustergerling Interieur GmbH. Today Venesto is the distributor of Eustergerling’s fabrics in the EU countries. The company’s headquarters is located in Rangsdorf (Germany).